Wow what a waste of money. The most expensive film made in China at 750 million yuan (US112 million) was yanked from screens after it flopped spectacularly on opening weekend, making only 49.05 million yuan. Called Asura, the fantasy film was backed by big names like Alibaba Group Holding, Zhenjian Film Studio, and Ningxia Film Group, and starred Hong Kong actors Carina Lau Kar-ling and Tony Leung Ka-fai, as well as 19-year-old teenage heartthrob Wu Lei. 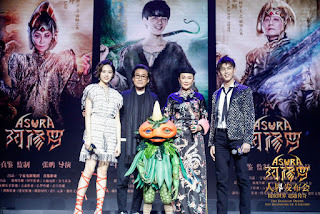 But the producers made the shock announcement on the film's Weibo account, saying they gave their "deepest apologies to viewers who did not get a chance to watch the film, as well as to all the Chinese and international participants who were involved in its production over the past six years". There were some 2,500 people involved in the making of the film, that was shot in Qinghai, Ningxia and Hebei provinces, while 15 months of post production was done in the United States. 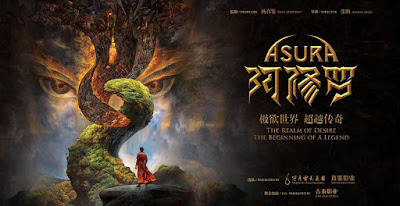 Asura was based on Buddhist mythology, but it seems the story line wasn't compelling enough to viewers, as it only got 3.1 out of 10 from 10,950 viewers on the Chinese film review website Douban, and 6.4 on ticketing provider Maoyan's website. Meanwhile, Asura's competition, Hidden Man, directed by actor and director Jiang Wen, that also opened on July 13, raked in 341 million yuan. 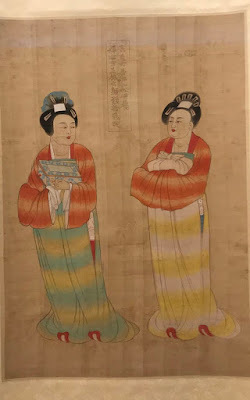 Another case of China's bid to throw gobs of money at something with the expectations it will succeed, but in fact the opposite is what happens. Apparently Asura was the first of a trilogy... guess the other two are canned now?